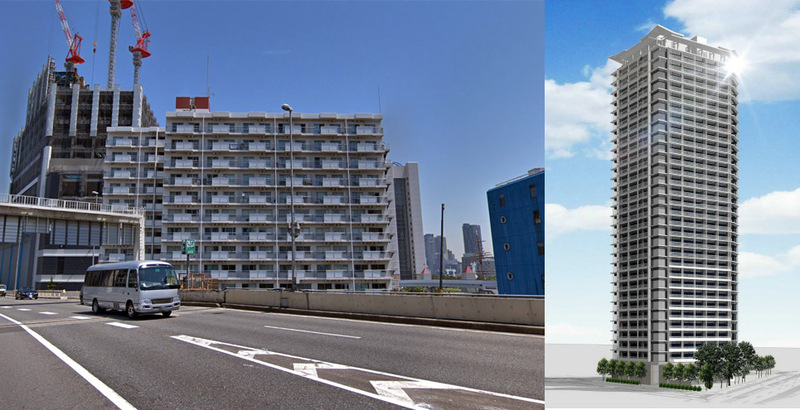 The home owners association of an old apartment block in Tokyo’s bay front area have voted in favor of redevelopment, with the former 14-storey building to be replaced by a 32-storey apartment tower. The former Itohpia Hamarikyu apartment building was built in 1979 and is a 5 minute walk east of Hamamatsucho Station in Tokyo’s Minato Ward. The 14-storey building contains 328 apartments and sits on a 2,820 sqm block of land fronting onto an expressway. 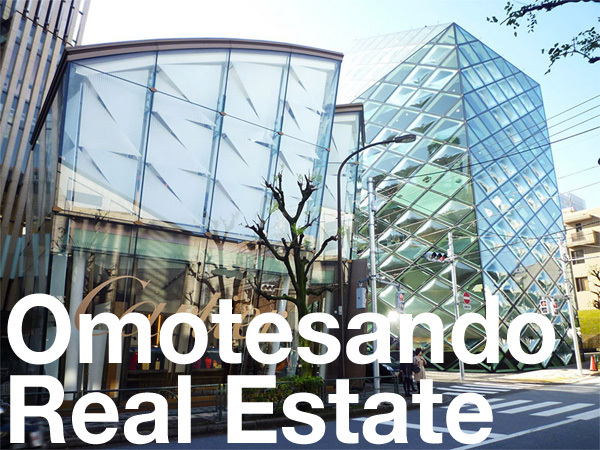 Tokyo Tatemono has been chosen to lead the redevelopment. 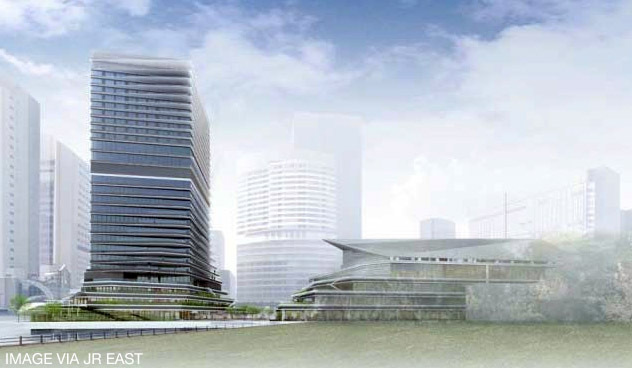 The developer’s hallmark brand for condominiums is ‘Brillia’, so we may see the new building given a Brillia name. To redevelop an existing apartment building at least 80% of owners must vote in favor. The Itohpia Hamarikyu owners association achieved a successful vote on October 21, 2018. The 39-year old building has been showing signs of age and deterioration. A 2006 earthquake resistance inspection found that there were several sections of the structure that did not meet current earthquake-resistant standards. From that point on, the owners began to discuss their options, with the most recent redevelopment discussion starting in 2015. The new building will be 118 meters tall and contain 422 apartments. Demolition and construction is scheduled to begin in July 2019 with completion of the new building by 2023. The Takeshiba Urban Regeneration Step Up Project is currently under construction across the street on the northern side. 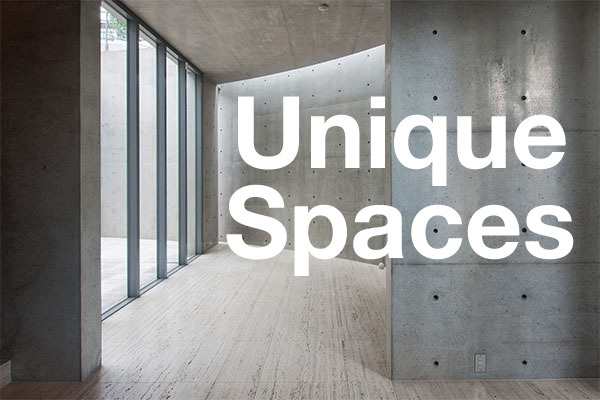 This project includes a 209-meter tall, 39-storey office tower, along with retail and a 70-meter tall apartment tower. Completion is scheduled for mid-2020. 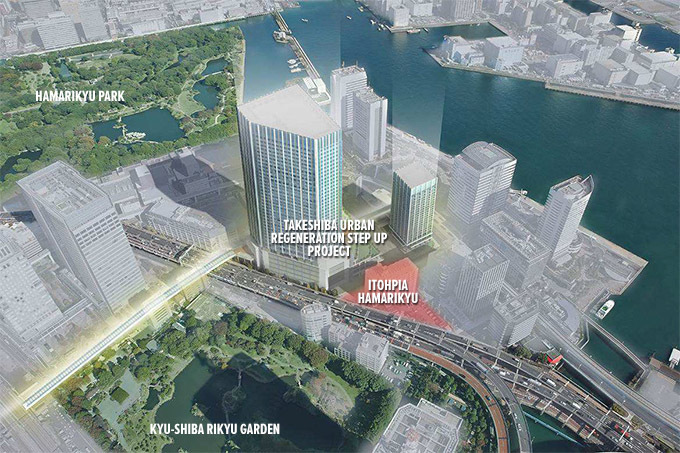 A 122-meter tall, 26-storey hotel and office tower is planned for the Takeshiba Waterfront Project site located just 250 meters north. Completion is scheduled for mid-2020. Source: Tokyo Tatemono News Release, November 2, 2018.